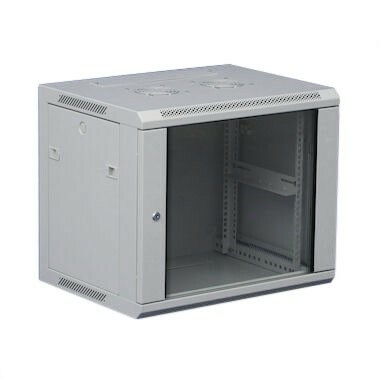 12U wall mount data cabinet grey 600mm x 600mm . Wallmount 19" server rack. Wall mount data cabinet. with adjustable 19' profiles rack mount and lockable (ultra light) glass front door.